An L.C. 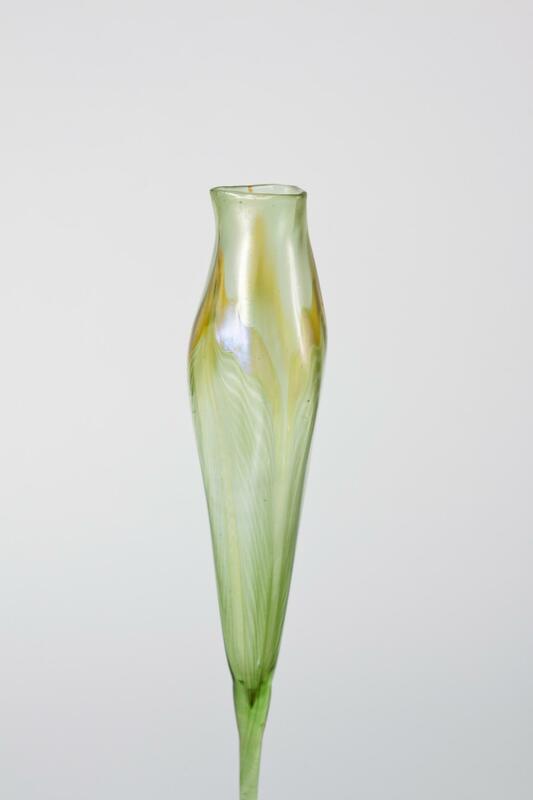 Tiffany favrile glass calyx flower form vase, the transparent green body of the vase decorated with iridescent leaf design. This original Tiffany favrile glass vase is signed and numbered on the underside.